Chloroplast & Mitochondria: What are the Similarities & Differences? Both the chloroplast and the mitochondrion are organelles found in the cells of plants, but only mitochondria are found in animal cells. The function of chloroplasts and mitochondria is to generate energy for the cells in which they live. The structure of both organelle types includes an inner and an outer membrane. The differences in structure for these organelles are found in their machinery for energy conversion. Chloroplasts are where photosynthesis occurs in photoautotrophic organisms like plants. Within the chloroplast is chlorophyll, which captures sunlight. Then, the light energy is used to combine water and carbon dioxide, converting the light energy into glucose, which is then used by the mitochondria to make ATP molecules. The chlorophyll in the chloroplast is what gives plants their green color. The primary purpose of a mitochondrion (plural: mitochondria) in a eukaryotic organism is to supply energy for the rest of the cell. The mitochondria are where most of the cell's adenosine triphosphate (ATP) molecules are produced, through a process called cellular respiration. Production of ATP through this process requires a food source (either produced via photosynthesis in photoautotrophic organisms or ingested exteriorly in heterotrophs). Cells vary in the amount of mitochondria that they have; the average animal cell has more than 1,000 of them. Chloroplasts have an ellipsoidal shape, which is symmetrical across three axes. Mitochondria are generally oblong, but tend to change shape rapidly over time. Mitochondria: The inner membrane of a mitochondrion is elaborate in comparison with the chloroplast. It is covered in cristae created by multiple folds of the membrane to maximize surface area. The mitochondrion uses the vast surface of the inner membrane to perform many chemical reactions. The chemical reactions include filtering out certain molecules and attaching other molecules to transport proteins. The transport proteins will carry select molecule types into the matrix, where oxygen combines with food molecules to create energy. Chloroplasts: The inner structure of chloroplasts is more complex than that of mitochondria. Within the inner membrane, the chloroplast organelle is composed of stacks of thylakoid sacks. The stacks of sacks are connected to each other by stromal lamellae. The stromal lamellae keep the thylakoid stacks at set distances from each other. Chlorophyll covers each stack. The chlorophyll converts sunlight photons, water and carbon dioxide into sugar and oxygen. This chemical process is called photosynthesis. Photosynthesis initiates the generation of adenosine triphosphate in the chloroplast's stroma. Stroma is a semi-fluid substance that fills the space around the thylakoid stacks and stromal lamellae. The matrix of mitochondria contains a chain of respiratory enzymes. These enzymes are unique to the mitochondria. They convert pyruvic acid and other small organic molecules into ATP. Impaired mitochondrial respiration may coincide with heart failure in the elderly. Mitochondria and chloroplasts both convert energy from outside the cell into a form that is usable by the cell. Another similarity is that both mitochondria and chloroplasts contain some amount of DNA (though most DNA is found in the cell's nucleus). Importantly, the DNA in mitochondria and chloroplasts is not the same as the DNA in the nucleus, and the DNA in the mitochondria and chloroplasts is circular in shape, which is also the shape of DNA in prokaryotes (single-celled organisms without a nucleus). The DNA in the nucleus of a eukaryote is coiled up in the form of chromosomes. The similar DNA structure in mitochondria and chloroplasts is explained by the theory of endosymbiosis, which was originally proposed by Lynn Margulis in her 1970 work "The Origin of Eukaryotic Cells." According to Margulis's theory, the eukaryotic cell came from the joining of symbiotic prokaryotes. Essentially, a large cell and a smaller, specialized cell joined together and eventually evolved into one cell, with the smaller cells, protected inside the larger cells, providing the advantage of increased energy for both. Those smaller cells are today's mitochondria and chloroplasts. This theory explains why the mitochondria and chloroplasts still have their own independent DNA: they are remnants of what used to be individual organisms. 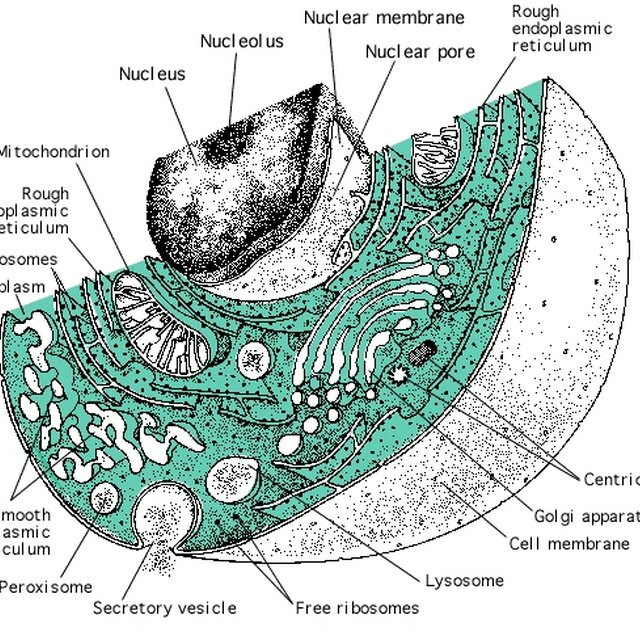 What Is the Disk-Like Structure in the Side of Chloroplasts? Jennifer, Kristin. "Chloroplast & Mitochondria: What are the Similarities & Differences?" Sciencing, https://sciencing.com/differences-between-mitochondria-chloroplasts-structure-8433003.html. 25 April 2019. How Does ADP Convert to ATP?